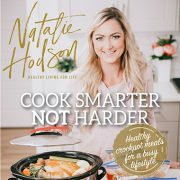 Most of the recipes you see on my website are healthy and nutritious recipes. 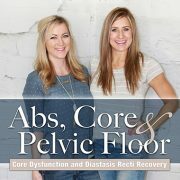 But, true to the tagline on all my posts this blog is about showing how to balance family, fitness, and a healthy lifestyle. 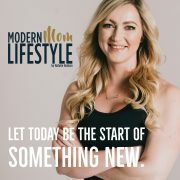 For me, balance isn’t about being perfect 100% of the time, but rather about eating healthy and exercising most of the time, and enjoying treats in moderation too. 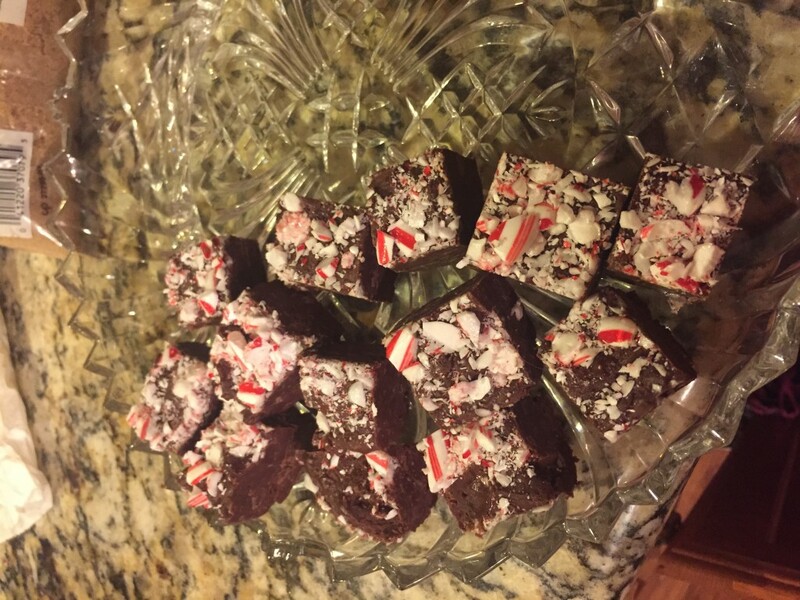 Christmas is one of those times of the year that I love making holiday treats and candy! I’ve been making these recipes for the past eight years or so, and it is a really inexpensive way to give gifts to your neighbors or coworkers or bring as a dish to a holiday party. Each of these four recipes have been passed on to me by someone I love. 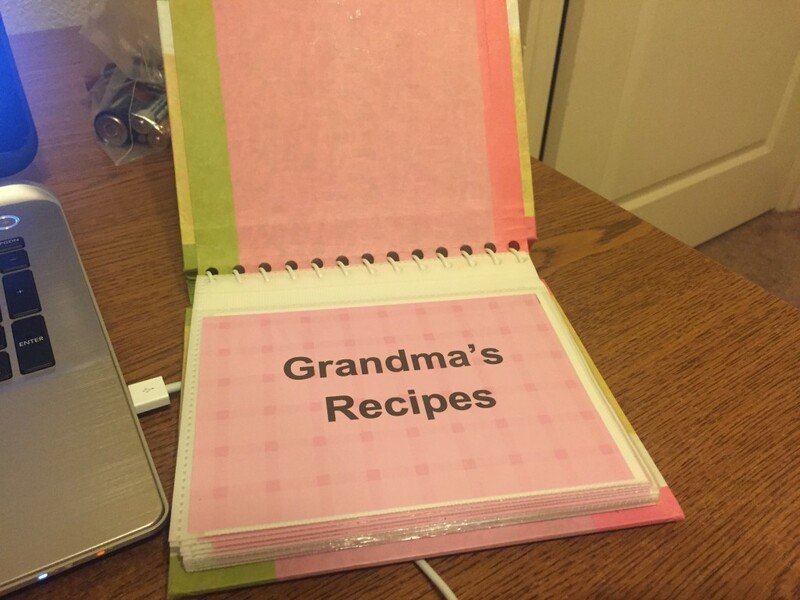 Two of the recipes are from my grandmas (one from my grandma and one from my husband’s), one of the recipes I learned growing up with my mom, and one of the recipes was taught to me by my best friend. They’ve been made in many kitchens, by many people, and always turn out great. 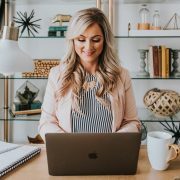 I’m going to share these recipes with you in order of difficulty level. None of the recipes are hard to make, but some are much easier and faster than others. I hope you will consider making one of these recipes. If you do, leave a comment down below and let me know how it turned out! I grew up making this with my mom. I started making it with her when I was just 6 or 7 years old and it’s so simple that this makes a perfect recipe for kids to help with. If you have a double boiler, this is the perfect time to use it. As an adult, I just never got around to buying a double boiler and so instead I just use a medium sized glass mixing bowl and set it on top of a pan that is just slightly smaller in size. I fill the pan about half full with water and bring to a boil. The steam from the water is going to melt your chocolate without burning it from the heat of the stove. I usually have to use a hot pad to hold onto the edge of the glass bowl so that it doesn’t tip over. Empty the packages of chocolate chips into the glass bowl and pour your sweetened condensed milk over the chocolate. Place the glass bowl over your boiling water and cook on medium high heat until everything has melted together. While this is melting, unwrap your candy canes and put them in a ziploc bag. Use a rolling pin (or anything heavy) to crush the candy canes into tiny pieces. Then take a piece of aluminum foil and spread it out over the bottom of a 8×8 pan. Make sure to really press the foil down well so that it is nice and flat. Spray with non stick cooking spray. Once the chocolate has melted, you want to work quickly because if you over cook the fudge it will start to get really crumbly. Use a rubber spatula to get the fudge out of the glass bowl and into your foil-lined pan. Use a butter knife to make the top of the fudge nice and flat. 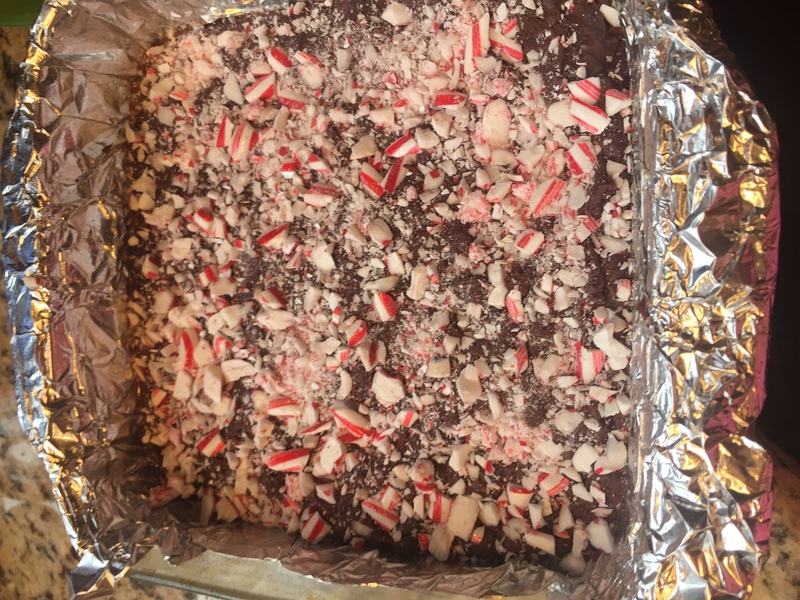 Sprinkle your crushed candy canes on top and use your hand to gently press into the fudge. Cover with foil or plastic wrap and set in the fridge to cool for about two hours. 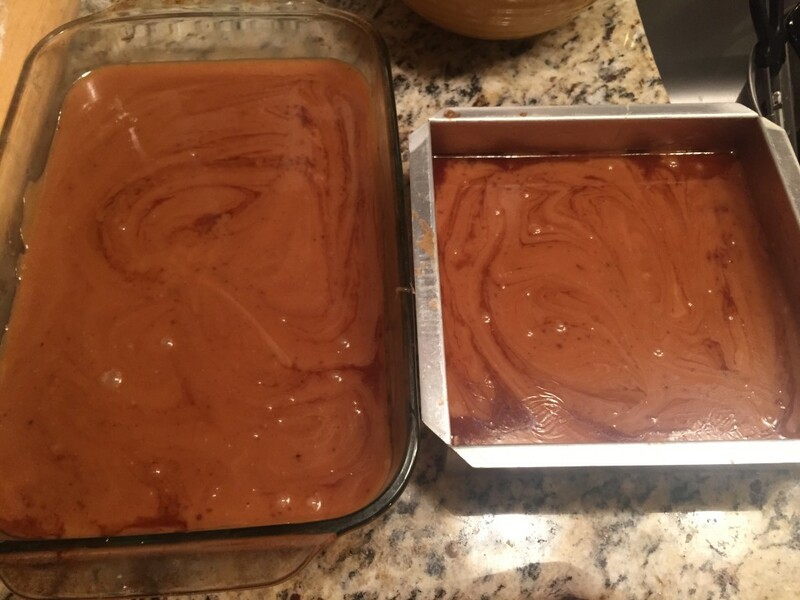 When the fudge is cooled, you just lift the foil right out of the pan and use a long knife to cut it into bite sized pieces! This recipe is so easy and is very easy to add peanut butter or different extracts to make different flavored fudge. This recipe is from my best friend Holly. She told me she got it from a cookbook but doesn’t remember which one, so, full disclaimer that this isn’t an original recipe but I’m not sure where it originally came from. My kids love decorating sugar cookies. We also like giving them on a plate with the other candies as neighbor gifts. This one is a great recipe to make and this recipe makes a really thin, flat sugar cookie. I like this recipe because you can make bulk butches of the dough in advance and freeze it, or you can make a bunch of cookies in advance, put them in ziploc gallon sized bags, and freeze the unfrosted cookies. I usually do this to save me time during the hectic and busy week of Christmas. In a large bowl, beat powdered sugar, butter, vanilla, almond extract and egg with electric mixer on medium speed, or mix with spoon. Stir in flour, baking soda, and cream of tartar by hand or with a rubber spatula. Cover, refrigerate for 2 hours or place in freezer for 30 minutes. Heat over to 375 degrees F. Lightly grease cookie sheet with cooking spray. Divide dough in half. Roll each half 1/4 inch thick on lightly floured surface. Cut into desired shapes with 2.5 inch cookie cutters. Bake 7-8 minutes or until edges are light brown. Remove from cookie sheet to wire rack. Cool completely, about 30 minutes. 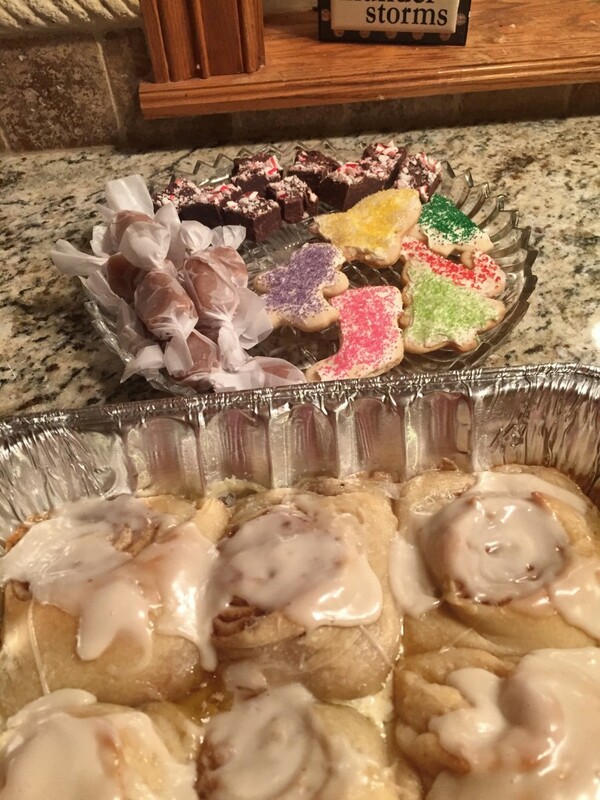 Frost (I just use store bought icing) and decorate! 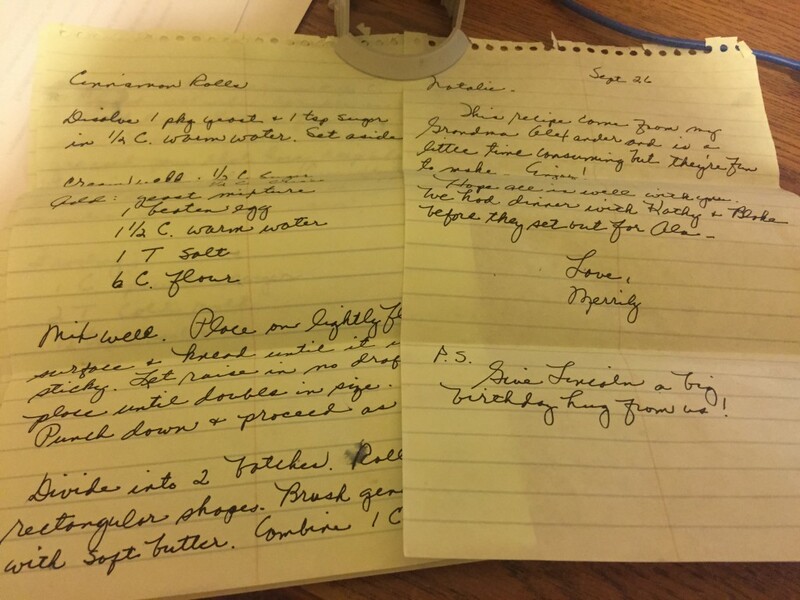 This is a recipe my Grandma Hatch passed on to me. When I got married, she gave me a hand made cookbook with all her favorite recipes and it is one of my most treasured items in my kitchen. These are my all time favorite candy this time of year. Everyone loves them and they are always a huge hit. This isn’t a hard recipe to make, but I put it third on the list because you need to be extra careful when you are boiling the caramel. 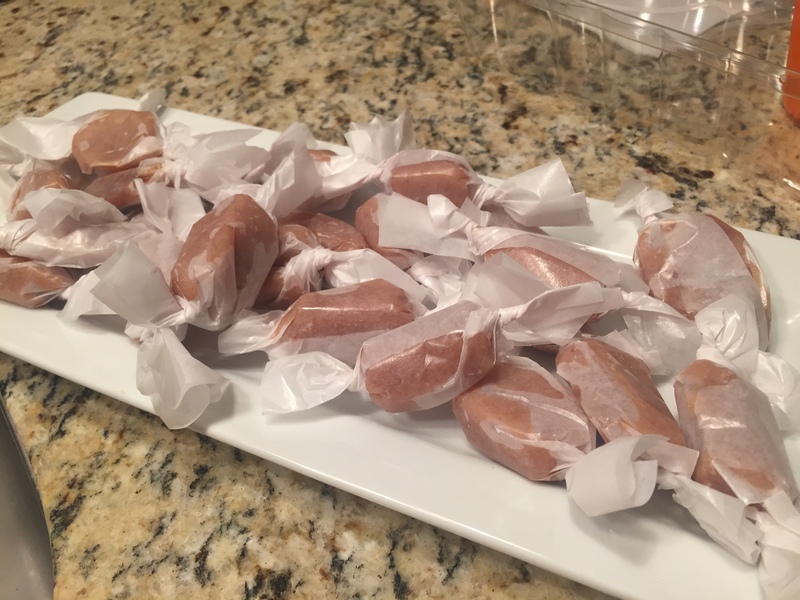 A few degrees too high and your caramels will be too hard and a few degrees to low and your caramels will be too soft. Use a large pot to cook this. A good heavy aluminum or iron pan works well. When the sugar mixture starts to boil the mixture doubles in size and you don’t want it to overflow from the pot. Put sugar, Karo syrup, and salt in pan and cook over medium high heat until it starts to turn light tan in color. Make sure you are regularly stirring while this boils. This will take 7-8 minutes or so. Heat in microwave the heavy cream until it is quite warm (about 3 minutes). Add to sugar mixture SLOWLY. Stir with a long handled spoon and NEVER stop the boiling process. (Be very careful as the steam can really burn your hands). Cook to 243 degrees on a candy thermometer. This will take a while. The mixture will get to 215 pretty quickly and then it slowly rises to 243. Make sure you are constantly stirring or the sugar will burn on the bottom of the pan and ruin the entire batch. 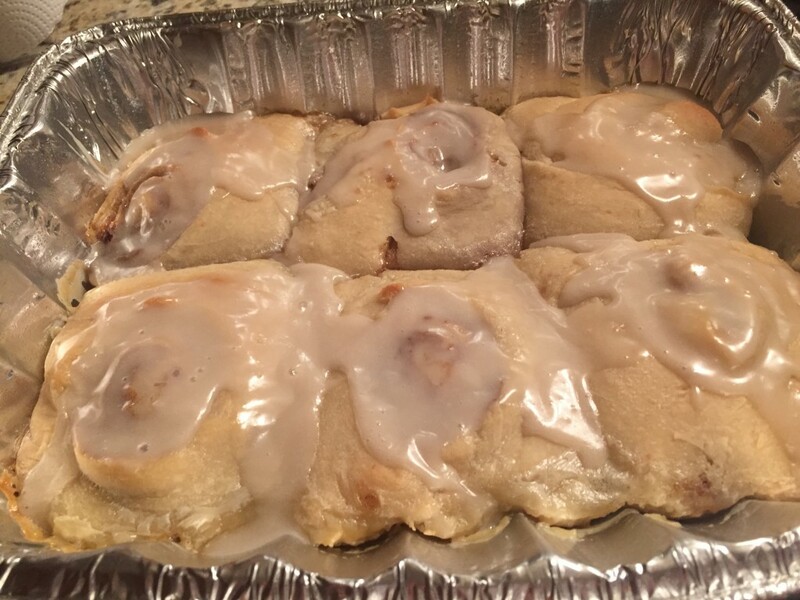 This is a recipe from my husband’s grandma and these cinnamon rolls are amazing. I make these each time a friend has a baby or is recovering from surgery (tip: when making these for a friend purchase a disposal aluminum tray to keep them in so they don’t have to worry about returning dishes to you). We also make them on Christmas Even and then warm them up the next morning for Christmas breakfast. I’ve shared this recipe on my blog before and you can find that recipe here. The recipe is a little time consuming but they are fun to make and well worth it! I hope you try out one or all of these tried-and-true recipes. I can’t wait to hear from you to see how you like them!